Sculptor, Simon Gaiger has lived and worked at his home near Llanybydder in Carmarthenshire for ten years now, but he spent his childhood living in some unusual parts of the world including Africa, New Guinea and The Falkland Islands. We visited him at his studio to find out a bit more about his influences and working methods. 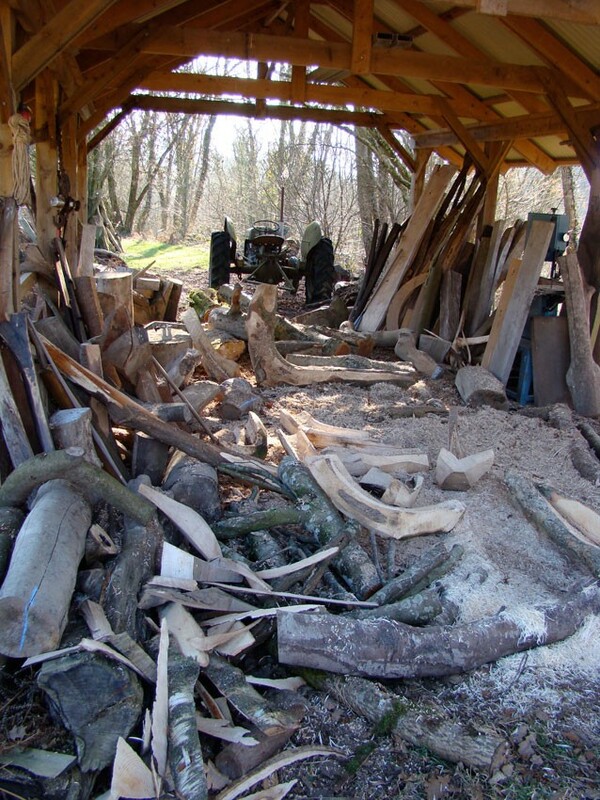 OM: Your work often uses wood in its construction, have you always worked with wood? What draws you to it as a material? SG: The first material I used as a boy in Uganda was Plasticine - I would make small shapes of animals and figures which were collected on a shelf in our home in Kampala. I was encouraged by my mum and her friend, Professor Cecil Todd from Makerere Art School to make lots of them. Another friend of the family, Brother Joseph van Heeswijk, a Mill Hill Father who founded the Nsambya Stained Glass Workshop in Kampala would sit with me making shapes and would talk about playing with forms. I'd also make small sewn objects and multi colour samplers of stitches with my mum. After this I started with wood, shaping sticks or 'fimbo' with a small kitchen knife. Once using a knife, wood was a favourite material; readily available it could be sourced and cut out of the trees and hedges with the right dimensions and shapes - flat wood came from tea chests. At age 12 and at boarding school in UK, I spent weekends with a teacher, Colonel Andrews who initially set me to work with his chainsaw cutting logs for the fire and then learning how to cut shapes - schools are just not the same these days! Trees are all around with so many varieties and characteristics. For me wood is a material that you can work with; a material that speaks through its natural faults and the patterns in its grain of its history; its time as a living organism. The nature of the piece is already contained within the material, which makes wood very satisfying to work with directly and spontaneously. OM: You have lived in Africa, the South Pacific and The Falkland Islands, have these locations influenced your work? SG: Spending my 'formative' years in Africa and the South Pacific has influenced me deeply. It has instilled a belief that artistic expression is a natural, everyday facility for all people. Everyday domestic objects as well as sacred objects are imbued with life in form and decoration. Abstraction is second-nature and there is little distinction between art and craft. The link to our ancient, primeval symbols and forms is also much closer in Oceanic and African art. Vital, more direct, expressive and often complex although sometimes perceived as less 'sophisticated' in the knowing sense. Technically Africa, New Guinea and Vanuatu have a strong tradition of making skills. 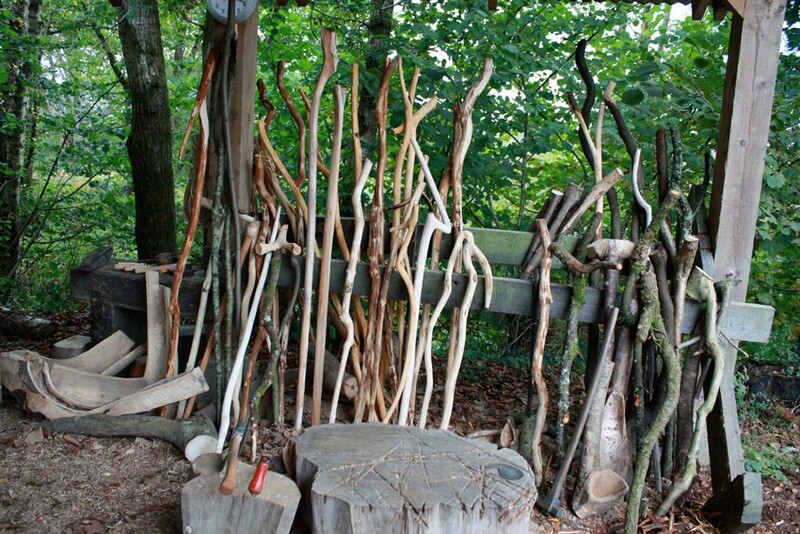 Pangas, axes and adzes form shapes in wood, deep hollows are burnt out and surfaces charred, oiled and limed. A usually simple palette of earth pigments highlight surface pattern. OM: You have worked as a shepherd, a shipwright and in landscape construction, have these experiences informed your sculpture and working methods? SG: Yes - definitely. These jobs are mostly hard, physical work. The realisation of sculpture is also mostly hard work and similar disciplines are needed to see the work through. 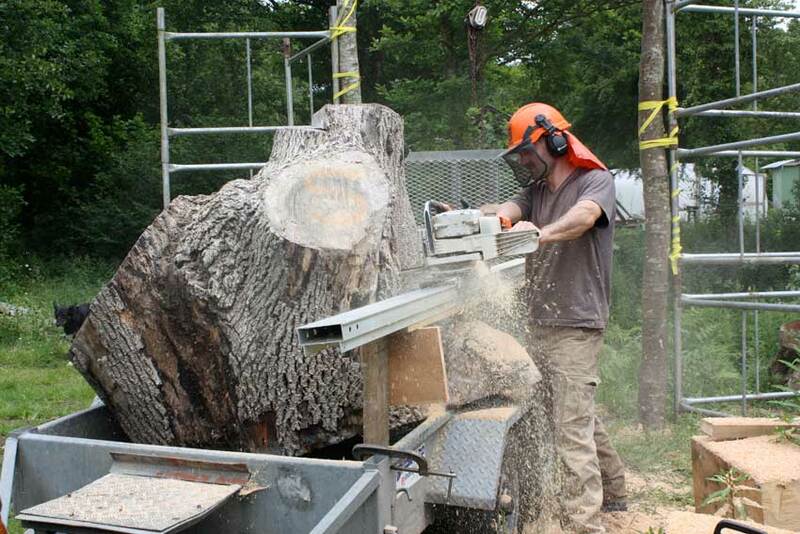 Construction methods, techniques, joins and even the ways of handling large logs transfer from the landscaping and shipwrights world to sculpture in wood. 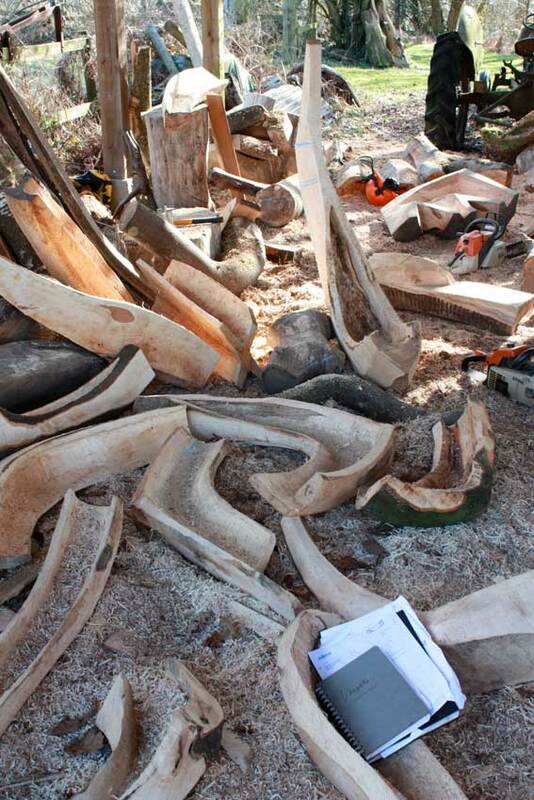 Also familiarity with hand tools, adzes, axes, chainsaws and welding come from these trades. Forms and visual languages are also transferable - for instance, the curves and shapes of boats are closely related to smaller domestic vessels. OM: Making the work must be physically as well as technically demanding, is that an integral part of the process for you? SG: Yes - the task of extracting a good piece of work out of a rough log or in marrying different materials successfully is always a challenge; wresting a form from the energy suggested but held within the raw timber is definitely a very physical process. OM: How do you go about planning and preparing to make a new piece of work? Do you make preparatory sketches and drawings? SG: The work I make in wood is usually directed by the suggested forms or movements within the raw timber and direct carving with chainsaws roughs out preliminary shapes. My sketchbooks are filled with drawings which inform the shapes I look for in the log. When the drawings start with studies of the raw material then they more literally translate back through the log to the finished work. If an idea of form comes first from a spontaneous drawing, then this transposes through the material's own characteristics to complete the work in a less literal way.